PEP supporters provide valuable introductions to prospective employers as well as endorsements for our graduates. Here are the current graduates seeking employment. For information on any of these gentlemen (including their resumes), contact the Re-Entry Coordinator below. Please let us know if you have any job leads at all (even if the candidates below are not a fit). CONTACT: PEP Re-Entry Coordinator Jason Moore can provide resume and more info. Contact him at JMoore@PEP.org. TYPE OF WORK HE IS SEEKING: Open to any opportunity. CONTACT: PEP Re-Entry Coordinator Bryan Kelley can provide resume and more info. Contact him at BKelley@PEP.org. TYPE OF WORK HE IS SEEKING: Education; eventually aims to become a Master Electrician. CONTACT: PEP Re-Entry Coordinator Harvey Mai can provide resume and more info. Contact him at HMai@PEP.org. TYPE OF WORK HE IS SEEKING: Open to any opportunity; currently pursuing education towards goal of becoming a Professor. CONTACT: PEP Re-Entry Coordinator Luis Alanis can provide resume and more info. Contact him at LAlanis@PEP.org. CONTACT: PEP Re-Entry Coordinator Max Han can provide resume and more info. Contact him at MHan@PEP.org. We just added two more names to the list from a few days ago. 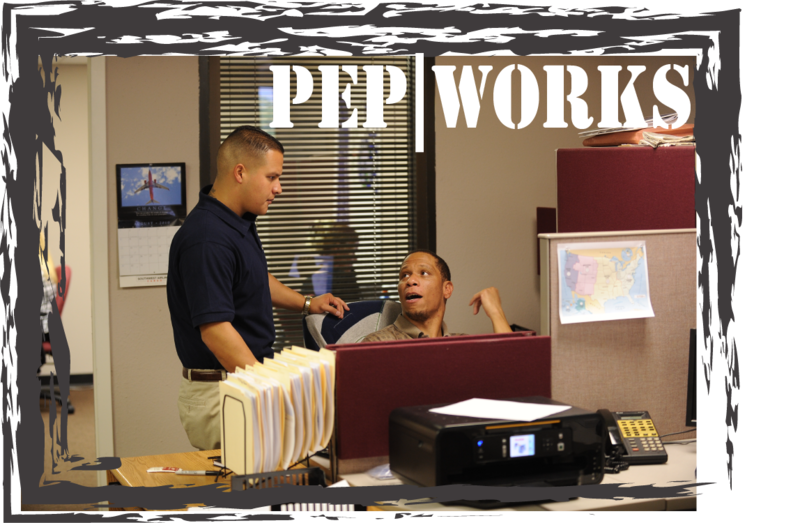 Thank you for your help — you are the key to helping PEP graduates finds employment! TYPE OF WORK HE IS SEEKING: Microsoft program related; eventually aims to start his own aquarium business. TYPE OF WORK HE IS SEEKING: Open to any opportunity; eventually aims to go to Ocean Corp. TYPE OF WORK HE IS SEEKING: Clerical or food service; eventually aims to become a Master Chef. One of the biggest challenges facing a formerly incarcerated person is the inability to find a job. In fact, nearly 40-50% of ex-offenders are unemployed for more than 12 months after their release from prison. Unable to find work, many return to lives of crime. Thankfully, this is not the case for graduates of PEP. Since May of 2010, every single PEP graduate who has worked with our re-entry team has found a job within 90 days of release from prison. In fact, the average time “from prison to paycheck” is less than 1 month! How do we do this? With your help! Here are the current graduates seeking employment. For information on any of these gentlemen (including their resumes), please contact Bryan Kelley in Dallas at BKelley@PEP.org or Gami Jasso in Dallas at GJasso@PEP.org. EXPERIENCE: over 4 years of working in the call center environment, with some training management experience . FIRST NAME & LAST INITIAL: David M.
TYPE OF WORK HE IS SEEKING : Tree trimming or Landscape of any kind. Also knows how to do remodeling, construction, and irrigation work. EXPERIENCE: I have 15 years in the Landscaping field and have had my own business doing trees (“Monkey Business”). On my off time from doing trees, I got experience with remodeling and framing houses. FIRST NAME & LAST INITIAL: Paul M.
Since May of 2010, every single PEP graduate who has worked with our re-entry team has found a job within 90 days of release from prison. By contrast, the average ex-offender has a nearly 40% unemployment rate after 12 months … yet 100% of PEP’s graduates are employed in the first three months. In fact, the average time “from prison to paycheck” is only 24 days. Most of our graduates land a job within their first month! Here are the current graduates seeking employment. 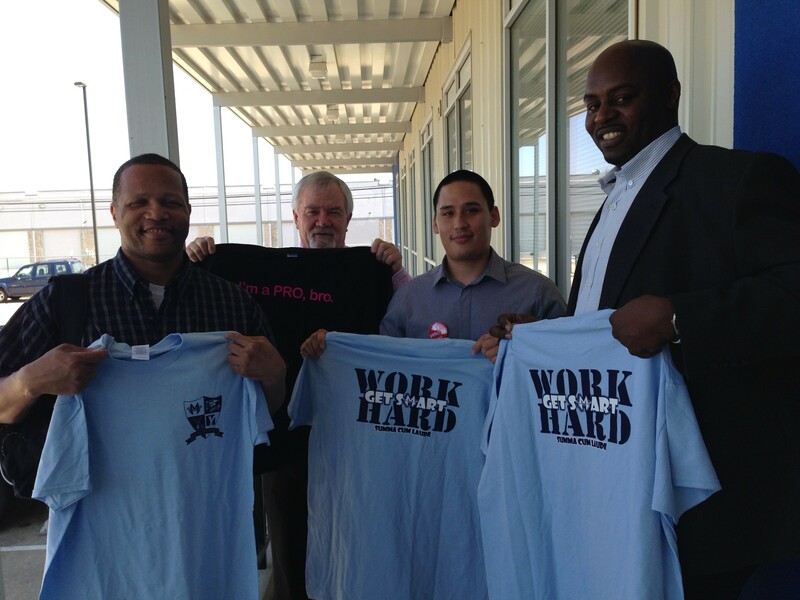 For information on any of these gentlemen (including their resumes), contact Greg Moore in Houston at GMoore@PEP.org or Gami Jasso in Dallas at GJasso@PEP.org. SEEKING : Full time position in warehousing. EXPERIENCE : Had multiple jobs in TDCJ, but worked the longest period of time in a warehouse as a clerk. So a job in Shipping and Receiving would be perfect. EXPERIENCE : While at TDCJ he worked in the kitchen and also in the carpentry shop. He likes to work out, so his dream job is as a personal trainer. EXPERIENCE : Primarily worked as a janitor in TDCJ. Willing and eager to work most any type of job where he can learn a skill that he can develop into a career.. EXPERIENCE: 15yrs in Printing, 5yrs shipping and receiving inventory control; 6 months call center 40 +wpm. Despite the recession, PEP’s graduates have been able to demonstrate a 100% employment rate within 90 days of release. In fact, the average time “from prison to paycheck” was only 26 days in 2011! Each year, PEP selects ONLY the top 200-250 participants from a pool of more than 2,000+ applications. Before acceptance into our elite program, the men must complete an intense, 20+ page written application along with a grueling “character assessment” interview that is used to gauge their commitment to living a transformed life. In brief, these men have been challenged time and time again — and they have succeeded when many others would have quit. This same level of discipline, focus and energy can be leveraged to build YOUR business. Plus, you are hiring someone who is HIGHLY MOTIVATED to excel in the job that you offer them. This is not a charity case, but something that is in your best interest. Federal Tax Credit: The Work Opportunity Tax Credit (WOTC) provides a federal tax credit of up to $2,400 per qualifying employee to businesses that hire individuals with criminal records. The Federal Bonding Program: This program protects businesses against employee theft or dishonesty by providing six months of coverage (ranging from $5,000 to $25,000) at NO COST to the job applicant or the employer. Better still, no paperwork is required on the part of the employer! See more at http://www.bonds4jobs.com/. Hire a great employee… earn a tax credit… receive free bonding to protect you from employee dishonesty …. what are you waiting for??? Contact Nelson Duncan today at nduncan@pep.org to meet some great PEP graduates who can become your next great employees!